He was the principal accused in the Lahore Conspiracy Case of 1930, whose title reads "Crown versus Sukhdev and others". From the sands of time emerges the tallest name of all – Sukhdev Thapar, the revolutionary whose birth centenary falls on May 15, 2007. 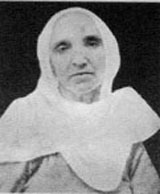 Born to Ralli Devi and Ram Lal Thapar at Mohalla Arya Samaj, Lyallpur in 1907, Sukhdev rose to fame along with comrades Bhagat Singh and Rajguru. Together, the trio shook the foundations of the British Empire. 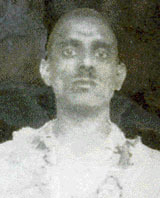 Historical records show that Sukhdev was particularly content with the death sentence awarded to him. 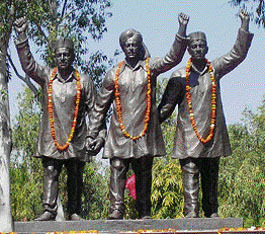 In a letter to Mahatma Gandhi, written some days prior to the hanging on March 23, 1931, he says, "The three prisoners of the Lahore conspiracy case who have been awarded capital punishment and who have incidentally gained greatest popularity in the country are not everything in the revolutionary party. In fact, the country will not gain as much by the change of their sentences as it would by their being hanged." Arrested when the Hindustan Socialist Republican Army’s (HSRA) bomb factory was accidentally discovered in Lahore, Sukhdev was very happy with the revelation of their secret activities. He rejoiced at the stir it would create. When arrested, he had said, "It was a good thing that everything came to light. I consider my arrest a good luck for this reason." Sukhdev, though less popular and less written about than his best friend Bhagat Singh, was a fearless man of exceptional integrity, who cared about the smallest needs of his party and its members. Comrade Shiv Verma, who was awarded life imprisonment in the Lahore Conspiracy Case, writes of Sukhdev’s character in his memoirs, Sansmrityiaan, preserved with the National Archives, Delhi: "In reality, Bhagat was the political mentor of the Punjab party; Sukhdev was the organiser – one who built its edifice brick by brick..."
Chandigarh-based writer Malwinderjit Singh Waraich is now translating into English Shiv Verma’s reminiscences of Sukhdev. These rare memoirs will be published soon, says Waraich, who is also writing Bhagat Singh’s biography for the Ministry of Information and Broadcasting. Of Sukhdev, Waraich says, "Not much has been written about him. Despite the availability of original documents pertaining to that age, no one has seriously undertaken their writing. Truth has been a casualty and many details about the lives of revolutionaries like Sukhdev continue to be unknown. Sukhdev was, in fact, the prime accused in the Lahore Conspiracy Case. Being the Punjab chief of HSRA, he was the man behind Saunders’ murder and assembly bomb drop plot." The first information report (FIR) of the Lahore Conspiracy Case, filed by Hamilton Harding, senior superintendent of police, in the court of R.S. Pandit, special magistrate in April 1929, mentions Sukhdev as accused number 1. It describes him as Swami alias villager, son of Ram Lal, caste Thapar Khatri. In a list of 25 accused, Bhagat is on the 12th position, while Rajguru is on the 20th position. It’s Sukhdev who leads the pack. Another hardly known truth about the martyr is revealed through the judgment of the Lahore Conspiracy Case, 1930. Its title reads "In the court of The Lahore Conspiracy Case Tribunal, Lahore, constituted under Ordinance no III of 1930: The Crown – Complainant versus Sukhdev and others". The fact that Sukhdev, despite his indirect involvement in the conspiracy, was tried as principal accused, confirms his importance in HSRA. He was the mover of all major decisions. The Lahore Conspiracy Case judgment places him in a new league. After gathering dust in the National Archives for seven decades, the full judgment was published in 2005 by Waraich and Gurdev Sidhu. Part of the book, The Hanging of Bhagat Singh, the judgment beautifully sums up Sukhdev’s role in the conspiracy. It states: "Sukhdev may be said to be the brains to the conspiracy while Bhagat Singh was its right arm. Sukhdev was an organizer and zealous in recruiting members and finding work suitable to the capacity of each. He was backward in taking part himself in acts of violence but he must be nonetheless held responsible for those acts to the execution of which his brains and organizing power made important contribution." Sukhdev was indeed singular in his focus of promoting the HSRA, of whose central committee he was a member. He was so driven by the party’s tenets that he didn’t hesitate to bet his best friend to achieve the party’s goals. A little known fact about the plan to drop bombs in the Central Legislative Assembly in April 1929 is that HSRA’s central committee had first refused to send Bhagat for the job. Sukhdev was absent from the meeting where the decision was taken. The party feared sending Bhagat, as the Punjab police was after him for his involvement in Saunders murder. His arrest would have meant death. But Sukhdev would not but send the best man for the job, says Shiv Verma in his memoirs: "Sukhdev came after three days and opposed the decision tooth and nail. He was sure no one could convey HSRA’s goal as well as Bhagat. He went to Bhagat and called him a coward, one who was afraid to die. The more Bhagat refuted Sukhdev, the harsher Sukhdev became. Finally, Bhagat told Sukhdev that he was insulting him. Sukhdev retorted saying he was only doing his duty towards his friend. Hearing this, Bhagat told Sukhdev not to talk to him, and went away." Sukhdev had pushed his friend into jaws of death, writes Verma, adding: "The committee had to change its decision and Bhagat was chosen to drop the bombs. Sukhdev left for Lahore the same evening without saying a word. According to Durga Bhabhi, when he reached Lahore the next day, his eyes were swollen. He had wept bitterly all night over his decision. Such was Sukhdev – softer than a flower and harder than a stone. People only saw his harshness but he never complained. He always hid his feelings." Much misunderstood, especially having broken the hunger strike twice without consulting his companions (as per Verma’s records), Sukhdev was rated over Bhagat in terms of his organisational and fellowship skills. Of him, his friends have said: "While Sukhdev was indifferent to his looks, he felt happy to dress his comrades. In this he was the reverse of Bhagat." "He was equally stubborn and whimsical," states Waraich, pointing to the pen portrait of Sukhdev, written by an HSRA comrade. It states: Sukhdev once poured nitric acid over his left arm to remove "Om" tattooed thereon. This, he did to test his endurance. To remove the remaining marks, he hung his festering wounds over a candle flame." Fierce patriotism and pragmatic action came together in a magical weave in Sukhdev, a true revolutionary. In his last letter dated October 7, 1930 to comrades (the day the judgment was pronounced), Sukhdev criticised mindless acts of violence and justified HSRA’s actions as the ones that sought to fulfill people’s aspirations. He wrote, "Take the case of Saunders murder. When Lala receive lathi blows, there was unrest in the country. This was a good opportunity to draw people’s attention towards the party. That’s how the murder was planned. To run away after the murder was not our plot. We wished to enlighten people that it was a political murder and its perpetrators were revolutionaries. Our actions were always in response to people’s grievances. We wanted to infuse revolutionary ideals in the public and the expression of such ideals looks more glorified from the mouth of one who stands on the gallows for the cause." A certified copy of this letter was sent by Punjab CID to the Home Department. Sukhdev’s letter to Gandhi is also a fine reflection of his ideals. "The aim of revolutionaries is to establish a socialist republic in the country. There is no possibility of even a slight amendment to this goal. I think you believe the revolutionaries are irrational people who enjoy destructive actions. I want to tell you that the truth is quite the opposite. They know their responsibilities and they hold the constructive elements high in their revolutionary constitution even though in the present circumstances, they have to attend to their destructive side only," he wrote. Jab apni hi zameen hogi aur apna aasmaan hoga. Despite several representations by Sukhdev’s family and admirers, the Punjab government has failed to restore the martyr’s ancestral house in Naughara Mohalla, Ludhiana. His family, including sister-in-law settled in Delhi and nephew Bharat Bhushan Thapar, have for years demanded the preservation of Sukhdev’s house by rehabilitating its current occupiers. Rallying around the cause has been Shaheed Sukhdev Yaadgar Committee, which recently published a Punjabi book titled, Shaheed Sukhdev: Naugharan ton Faansi Tak. The committee had earlier installed Sukhdev’s statue at Naughara by using its own funds. It commemorated the martyr’s birth centenary at a function that was held at Punjabi Bhavan, Ludhiana today. On the occasion Mera Bhai Sukhdev, a book on the martyr by his late brother Mathura Das Thapar, will also be released, said Dr Hardip Singh, a committee member.